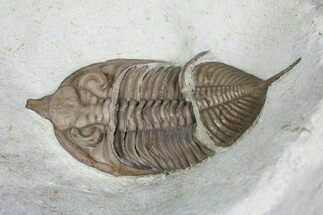 Huntonia is an uncommon genus of trilobite found in the Haragan Formation of Oklahoma. 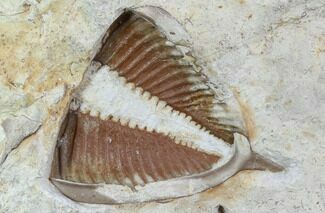 There are several species known from the formation and on average it takes 1-2 weeks of breaking rock to find a single good specimen. 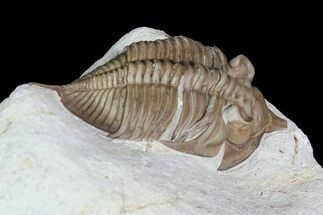 Once a good specimen is found, preparation will often take 10-20 hours depending on the size of the fossil. 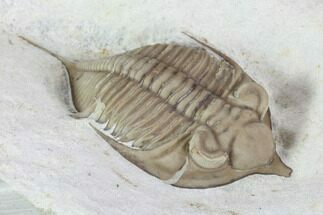 Sizes typically range from 2-3 inches though once every few years a 4+ inch monster may surface. 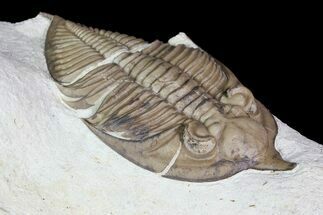 We are lucky enough to be able to provide top quality Huntonia trilobites for sale.